Shares of Salesforce.com Inc. (NYSE:CRM) leaped nearly 6 percent in afternoon trading Tuesday, hitting a 52-week high, amid reports that software giant Microsoft Corporation is evaluating a bid for the cloud computing company, Bloomberg reported. Salesforce is working with two investment banks to determine a response to the approaches, Bloomberg said, citing two people with knowledge of the matter. Shares of Salesforce were halted around 3 p.m. EDT after rising 5.9 percent in afternoon trading following the report. The San Francisco-based company, which went public in 2004, has a market value of $48 billion. Salesforce.com’s options could include rebuffing any buyer, or working out a sale, Bloomberg said. 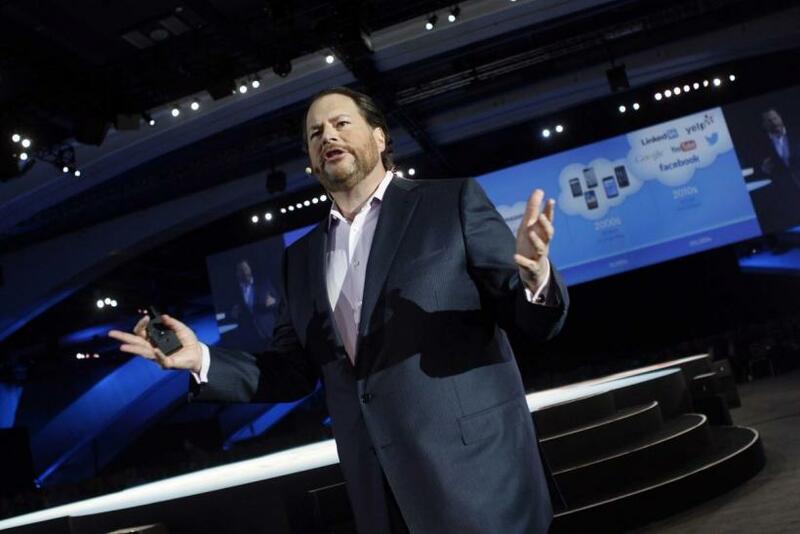 Salesforce’s stock soared to all-time highs last week amid takeover rumors after Bloomberg reported that it is working with financial advisers to help with a potential takeover offer. The cloud-computing market continues to heat up, as Amazon.com Inc., Microsoft, Google Inc. and International Business Machines Corp. compete for business. Microsoft is now reportedly jumping into the mix after Bloomberg said last week German multinational software corporation SAP SE and Oracle Corporation were the leading contenders for a Salesforce acquisition. Microsoft, the world's largest software company, has attempted to shift to cloud and mobile-based revenue streams as more consumers shift from personal computers. Revenue from the company’s commercial cloud computing, which includes Office 365 and Azure services, surged 106 percent last quarter, offsetting declines in commercial Office and licensing segments. Microsoft's Azure service is a cloud-hosting platform that competes with Amazon Web Services. The e-commerce giant revealed sales figures last month for its cloud computing unit, Amazon Web Services, for the first time. It generated revenue of $1.57 billion in the first quarter, up from $1.05 billion last year. Salesforce shares closed up 1.6 percent to $72.75, while Microsoft's stock ended the session down 1.3 percent to $47.60.